the Universe and knowing that there are no coincidences. 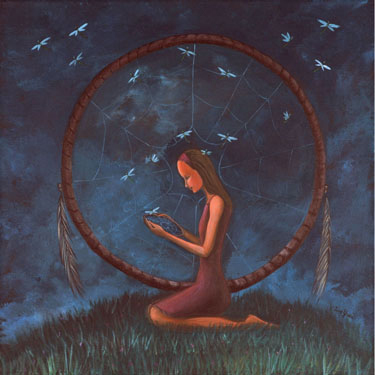 Because the subconscious is in tune with the Universe, some of those messages can come through during dreamtime. Remembering our dreams can give us clues about things happening in our lives. The dragonflies symbolize change and that it is never too late to follow our dreams.